I call my mom on Wednesday mornings. Seeing as I spend waste far too much time commuting my many places of work/business, and she’s at work early on Wednesdays (she’s also on central time), it’s a great time to catch up…if only for a few moments. Plus, what mother doesn’t want to hear their favorite (and only) daughter’s lovely voice before the sun comes up? Exactly. So yesterday my mom was telling me how the AT&T guy was out to fix a cable issue in the basement. Since the gentlemen was “so friendly and knowledgeable” (her words), she asked if he would take a look at their upstairs box “because it’s never worked right” (her words). The kind AT&T service man helped fix the problem (ends up the HD connection was never hooked up right, to which my mother said, “Why do we have an HD TV and no HD signal?” Well mother, I haven’t a clue). The very “friendly and knowledgeable” AT&T repair man finished his work and was out in his truck wrapping up some paperwork. My oh-so-sweet parental unit thought it would be appropriate to tip the man (agreed). Their first thought was $20 cash. Their second thought was a bottle of wine (??!!??). And that is why I love her…one of the many reasons why I lover her. Sadly, no. However, this dish was wonderfully flavored, simple to make, and scratched the itch that was a craving for the trans-fatty, calorie-packed orange chicken from a take-out restaurant. 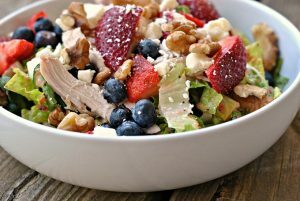 Mr. Prevention and I agreed that while “cleaned up” A LOT, this meal was very good, very filling, and very healthy! 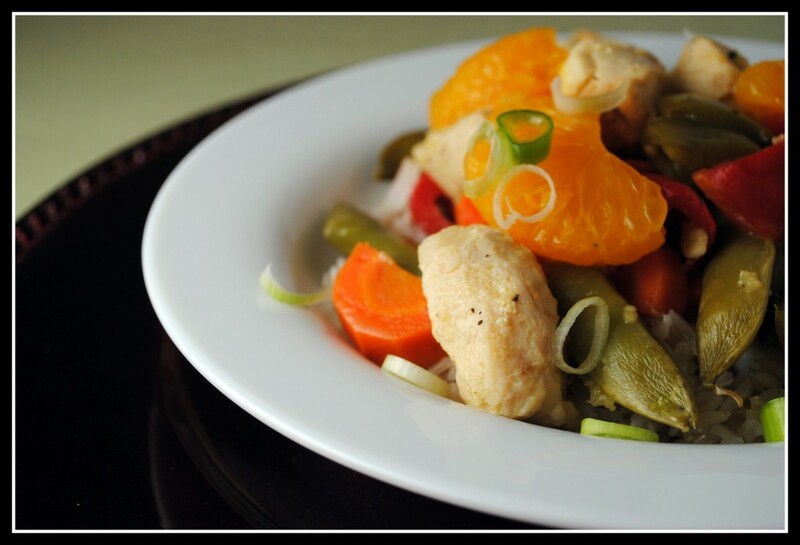 Put carrots, bell peppers, snap peas, garlic, then the chicken, ginger, salt, pepper and frozen orange juice in crock pot. Cover and cook on low 4 to 6 hours. 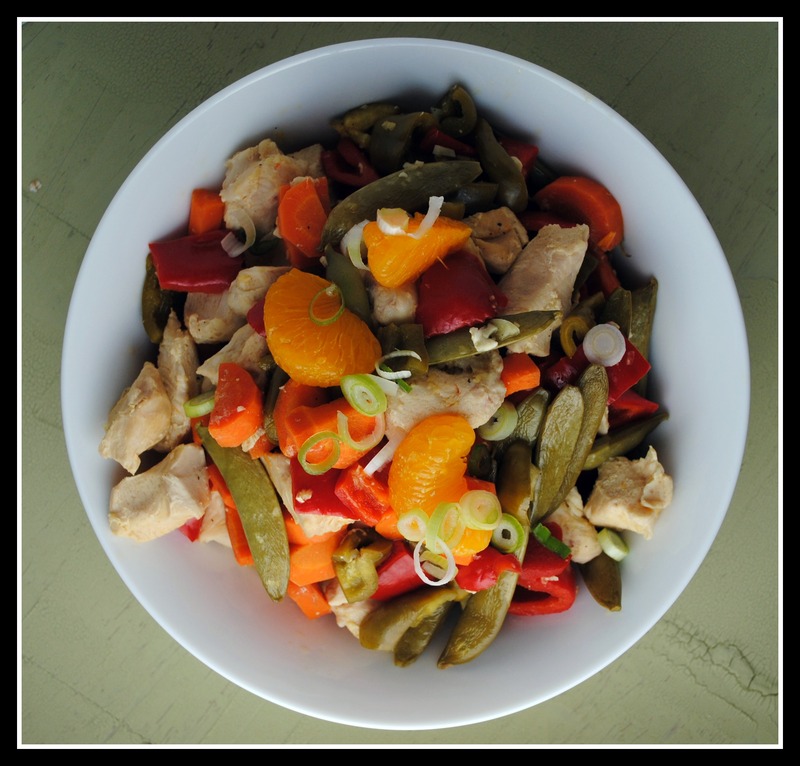 Ladle the chicken and vegetables from the crock pot into a serving dish. Mix the cornstarch and 2 tablespoons water together. Whisk into the liquid in the crock pot to thicken. Remove the sauce for serving. Result: A very healthy and simple orange chicken recipe. 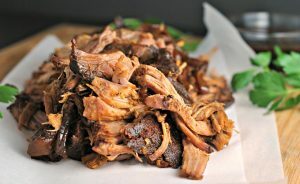 Though not deep-fat fried and slathered in a gooey, sugar-packed sauce (darn, I know! 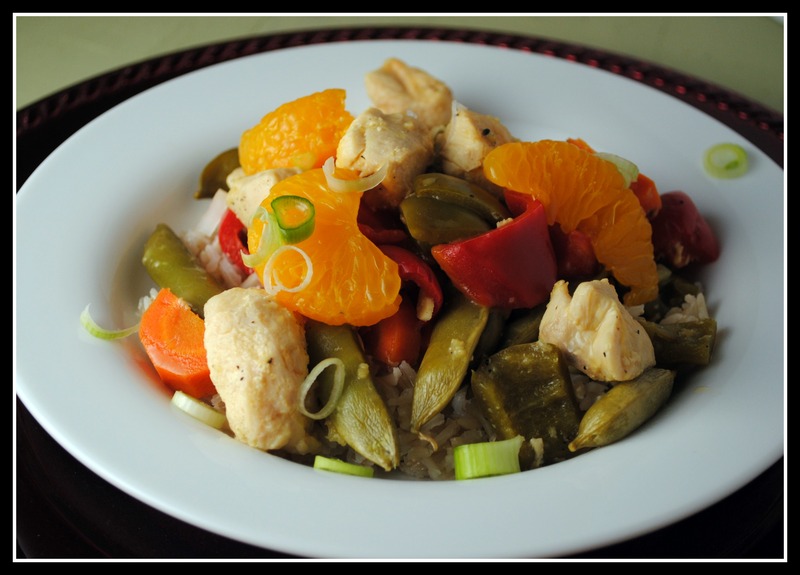 ), this meets all the criteria of a great orange chicken with that powerful, but not over-done, orange flavor. I don’t know that this could replace orange chicken in the “traditional” sense, but it’s a meal we certainly enjoyed! My class last night had me rolling. I love teaching about nutrition and hearing people’s questions. Somehow, someway (we were on the topic of “what makes a meat processed”), a student asked if I knew what mechanically separated meat was. When I answered no, she shared that it was the main ingredient in a Slim Jim. Intrigued, another student yells, “I’ll Google it!” (from her phone – technology can make teaching challenging!). The student shares this information. (Click and read at your own risk!!!). It had the class in a tizzy, that’s for sure…but all the sources I’ve read seem to agree that that basic idea is correct. Eww. Question: Would you rather receive $20 cash tip, or a bottle of wine? That’s hilarious! A bottle of wine? Imagine what his other AT&T co-workers will say when he gets back. Too funny. I think I’d prefer the cash (you know, I’m not much of a wine girl). The recipe sounds fantastic, and looks veryyy pretty. I think Nick and I would like this so it’s going on my list! Thanks Nicole. I don’t know whether I should click on the link above…..I’m scared. It may be too early for that! Those were my thoughts exactly! And yes, don’t open the link! Based on the lack of feedback, I think I scared people away!! 🙂 Happy 1st to Market District by the way! Haha my mom would have done the EXACT same thing! I never know what to do with her…but she constantly wants to tip EVERYONE. This may not have that sticky glaze but it surely still looks delicious! My parents have tipped the garbage men with beer before, so I guess its a pretty normal thing? Your mom sounds just adorable! I think I’d rather receive cash but I would be happy with wine for sure. Ultimately it’s the thought that counts! That looks fab! Can’t wait to try it out! Have a wonderful time in Chicago! Congrats to the couple! Me either…but it worked 🙂 Happy weekend, Andrea! I thought that the story was going to take a much more awkward turn when your mom asked the oh-so-friendly-cable guy to come upstairs to check out her box. If you know what I mean. I swear my mind isn’t always in the gutter. I was riding in the car with my mom when your comment came into my phone…we got one HECK of a laugh 🙂 She thought that was hilarious! Wine sounds good to me too!! You don’t happen to have a healthy version of it with the glazy yummy sauce do you? I have to admit when I saw your posting about orange chicken, I too was looking forward to that thick orangey sauce!